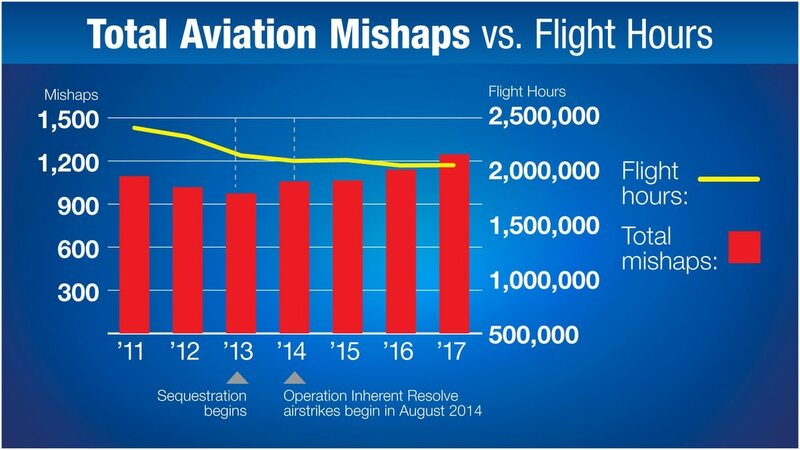 Through multiple Freedom of Information requests, Military Times obtained data for every Class A through Class C aviation mishap that has occurred since fiscal year 2011. More than 8,600 records were obtained. An analysis of the data shows manned warplane accidents have spiked nearly 40 percent since 2013, the year the mandated budget cuts known as sequestration took effect. The records can be searched by aircraft type, base, fiscal year and location.